The Hanford Accent Table features a sun-washed, weathered pine with burnished edges and light antiquing glaze. This hand-crafted table is casual, yet boasts elegant curved lines on the bottom shelf. Designed by Carolyn Kinder International. Available to trade professionals at Uttermost.com. 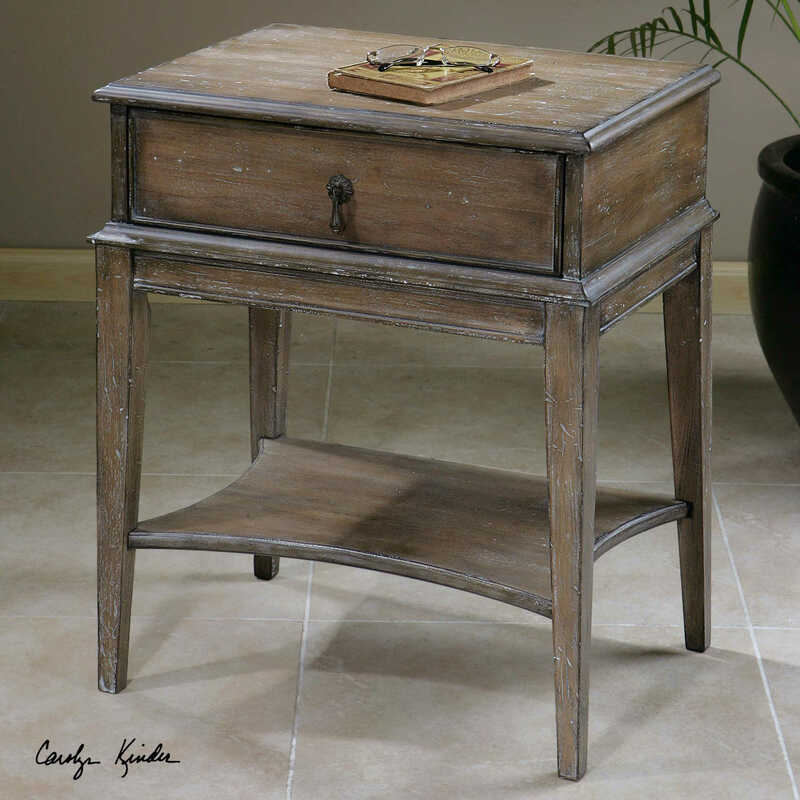 For retail purchase Google search term “Carolyn Kinder Hanford Accent Table”.